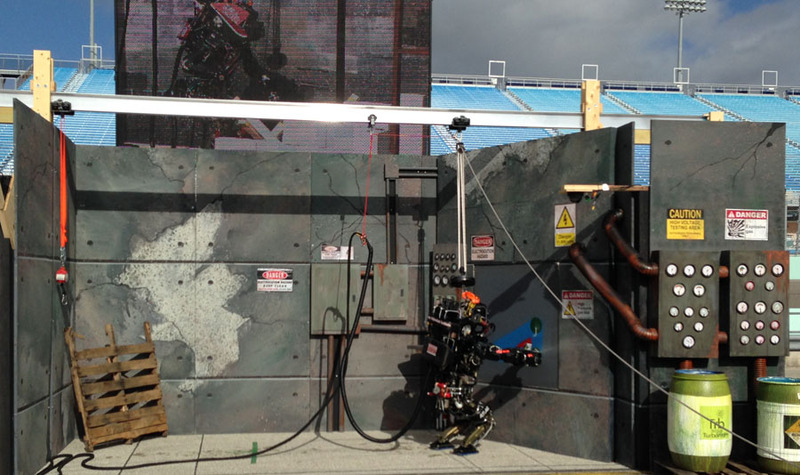 Scenes from the DARPA Robotics Challenge in Florida. 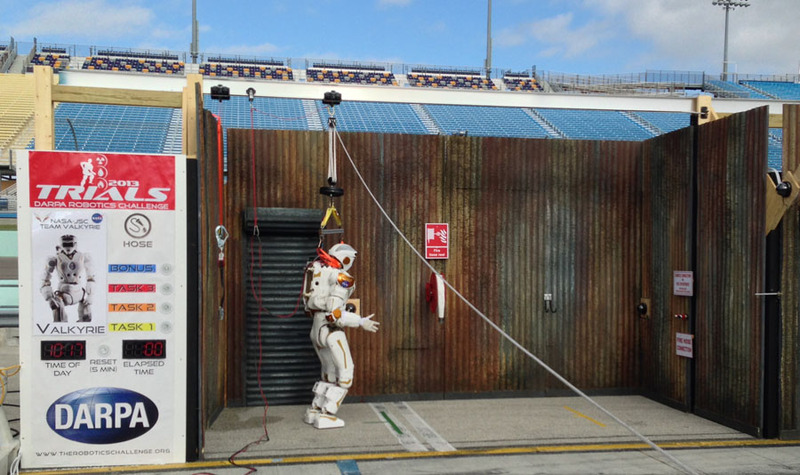 MIT’s Atlas robot attempts to pass through the second of three different doors during one challenge. 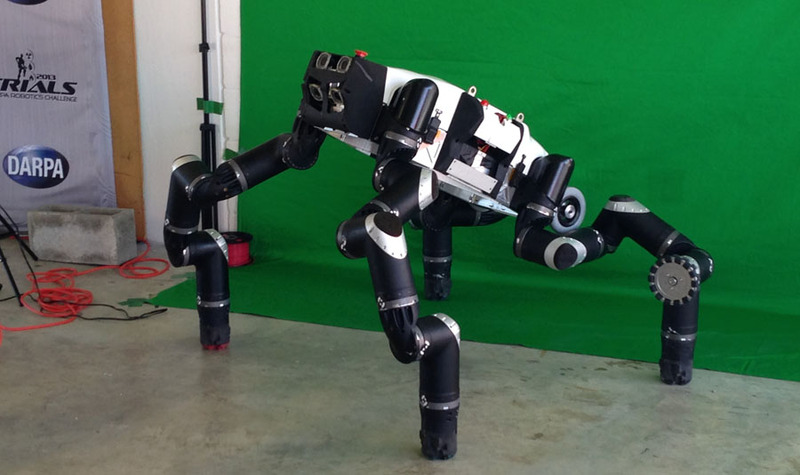 RoboSimian, a robot developed by a team at NASA JPL. 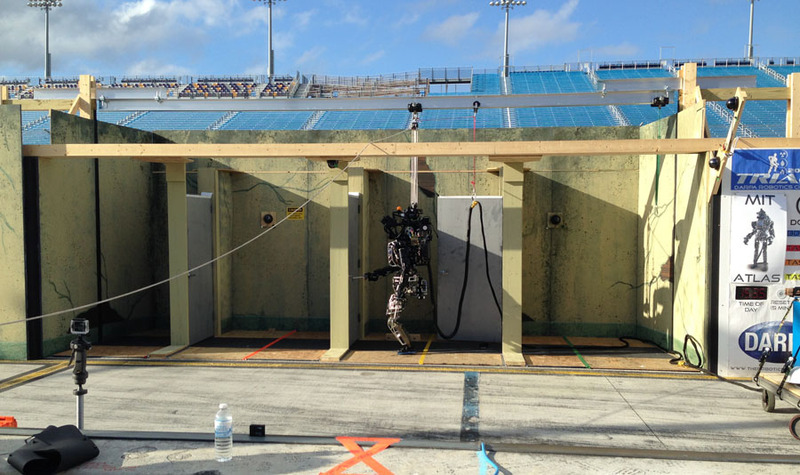 Schaft’s humanoid robot removes debris. 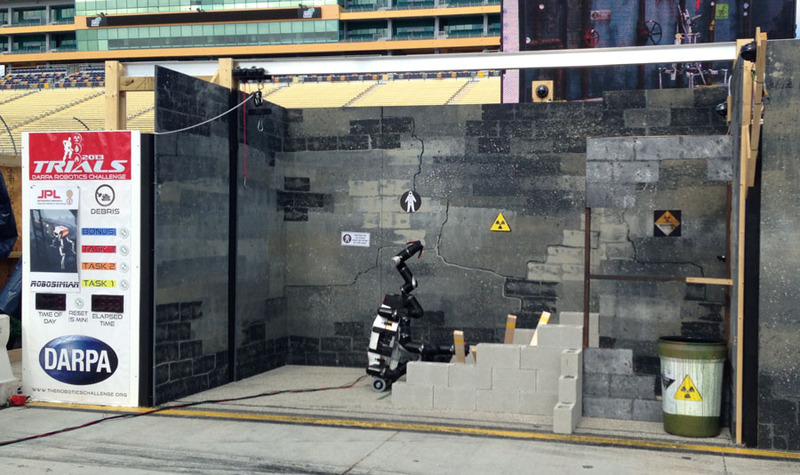 The Atlas robot belonging to IHMC safely strides over a pile of rubble. 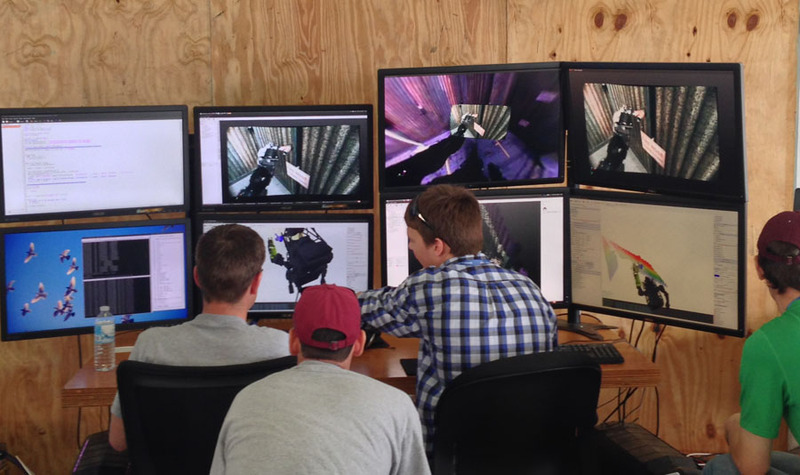 The MIT team controls its Atlas robot remotely. 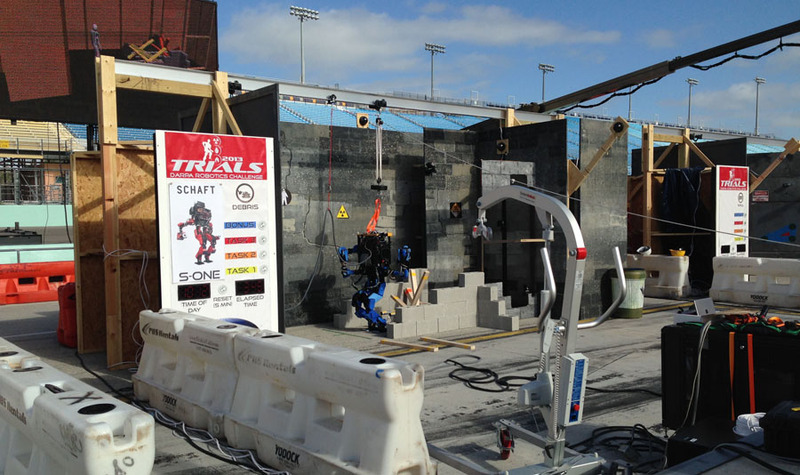 An Atlas tries to drill through a wall. NASA’s Valkyrie approaches a hose. 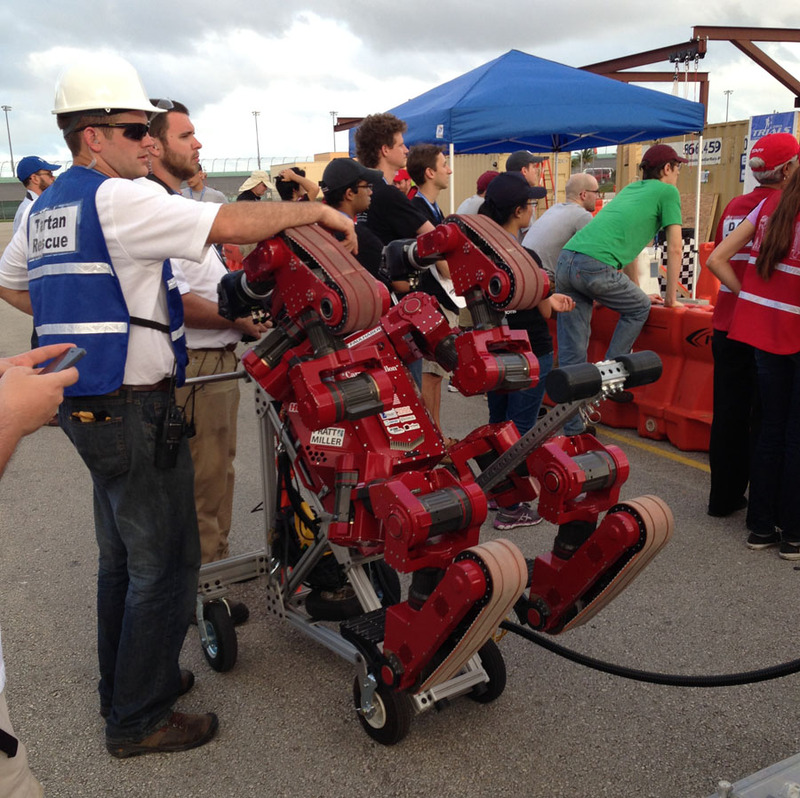 CMU’s Tartan Rescue team waits with its robot, CHIMP. 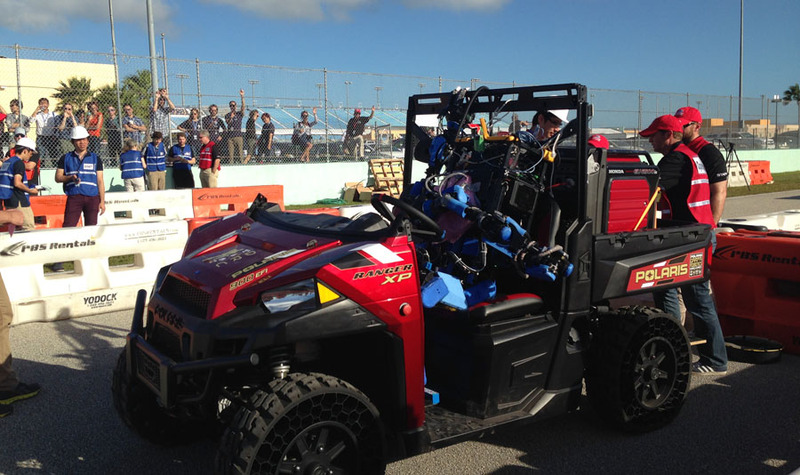 Schaft’s robot sits in the driving seat of a vehicle. 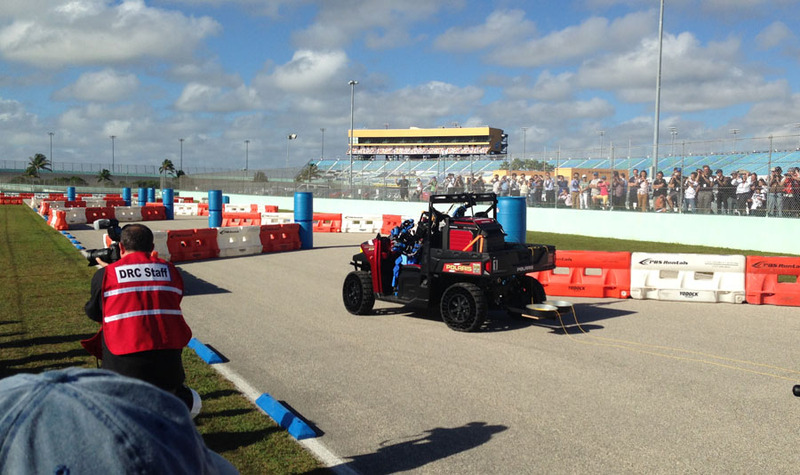 The Schaft robot successfully navigates the driving test. 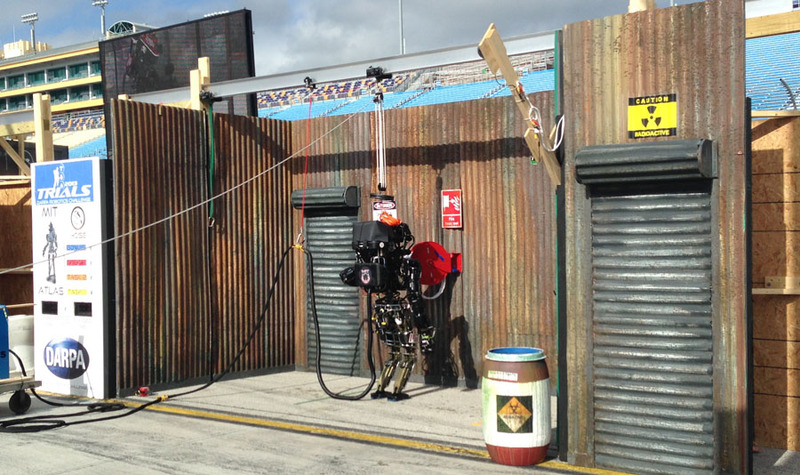 MIT’s robot grasps a firehose. 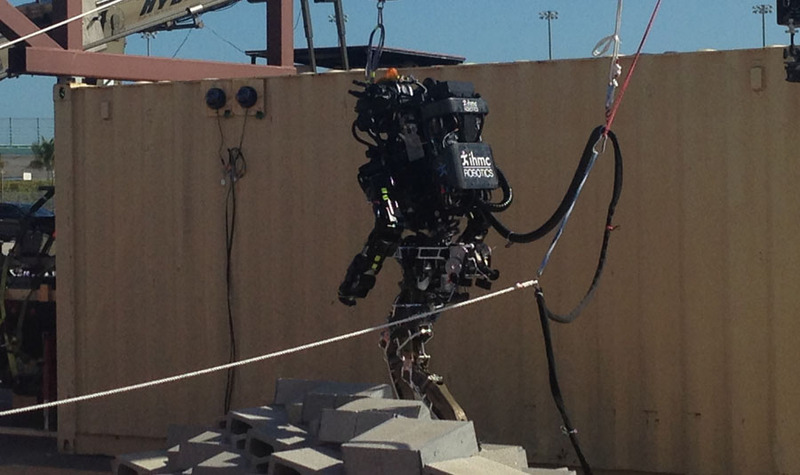 Robosimian attempts to move several pieces of rubble. 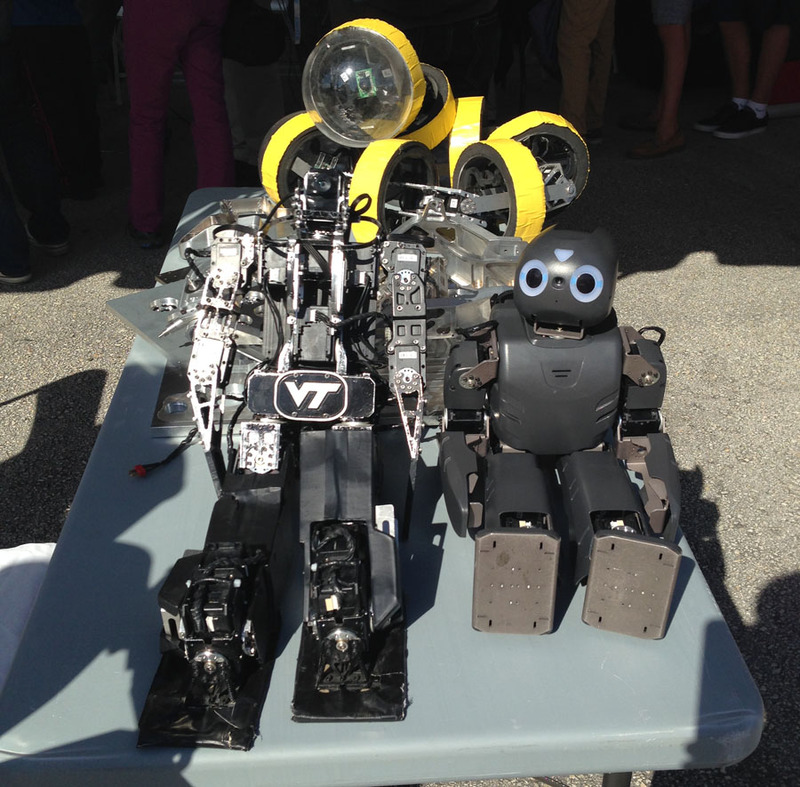 Assorted robots at an expo held during the DARPA Robotics Challenge.